Run further and better with the ASICS GT-4000, shoes specifically geared to take your performance to the next level. These stylish men's running shoes give you the boost you need to really go the distance, thanks to their energized cushioning, stability and breathability. Extra bounce comes courtesy of the Rearfoot GEL® technology, which will add power to your pace. Engineered for the road, these shoes also give you the fit and stability you need for the smoothest of journeys. 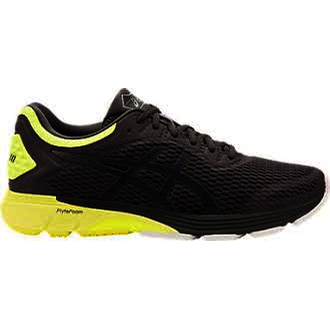 In fact, this shoe is considered to be the most stable in the whole ASICS range. If your feet have a tendency to roll in when you run - that's to say, you overpronate - these will give you just the support you need. The result should be a better running technique, which means going further than you thought possible. This shoe is also great if you're a larger build, providing you with maximum comfort and an accommodating fit. Women of all sizes, meanwhile, will benefit from the open sandwich mesh, which gives feet the space they need to breathe. " Weight: 10.98. Heel Height: 22mm. Forefoot Height: 12mm.